Discussion in 'Guitars in General' started by Pseudohobbit, Apr 14, 2016. I've been doing some research but thought it best to post here. Is there much difference in tone/sound quality on two different semi hollowbodies, one with and one without f holes? Example: some Gibson 339s come with f holes and others don't. I'd the tonal difference negligible? I've played my share of SHB types with holes vs. none and do think there's a discernible difference. The ones with holes sound, well, holier . That certain hollow resonance is just a bit more pronounced with f-holes, with of course the slight cost of a propensity for feedback, which may or may not be an issue for some players. derekd and MHG like this. 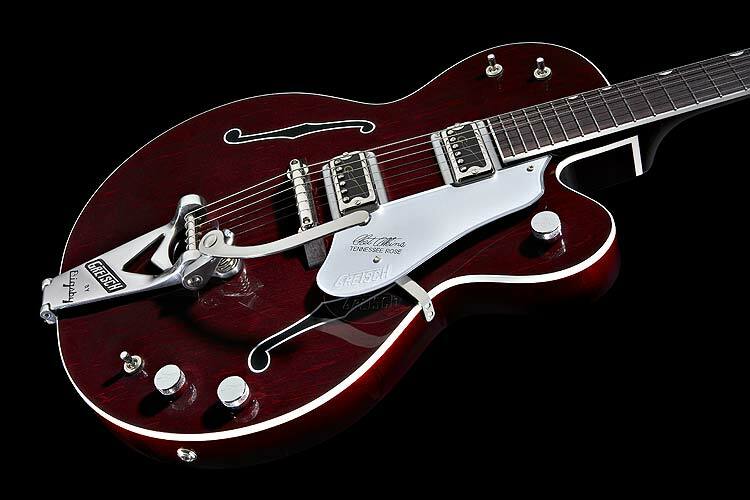 A Gretsch Pro Jet is as semihollow as a 335 but you'd never know it until you felt how light it was. It looks and sounds like a solid body guitar. The top moves when f holes are present. It changes things. No holes or real f holes are both fine. Painted f holes are a crime against nature and a violation of the Geneva convention. RYAN1987M, aussie_owner and SPROING! like this. Your honor, I present my defense against the alleged war crimes! Definitely makes a difference. The top moves when f holes are present. It changes things. Like when a PRS Hollowbody goes into feedback, and the guitar breathes gently on your inner forearm through the f holes. It's pretty magical. derekd, aussie_owner and SPROING! like this. Paul Gilbert f-holes are an abomination and should be attacked with a sharp chisel. derekd and ibis like this.